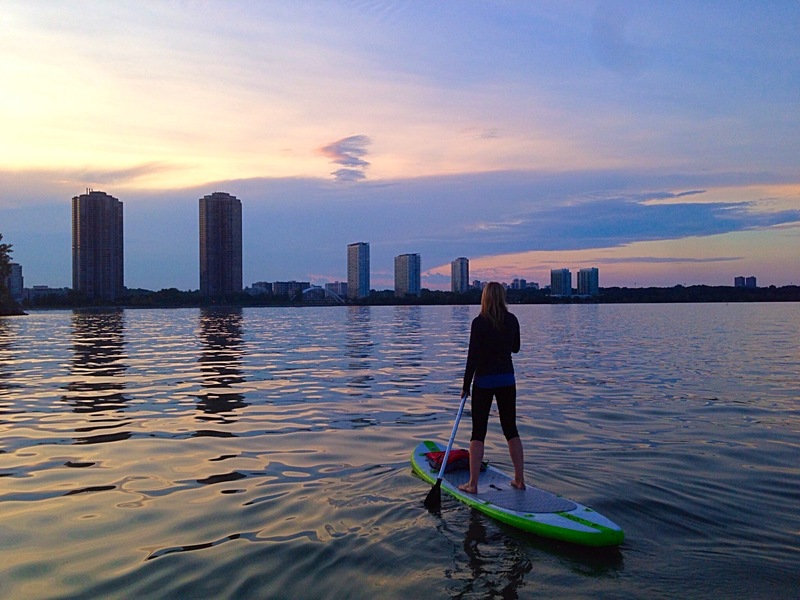 The Toronto Islands are one of the city’s best places to SUP. Not only do you get a killer view of the city skyline but there are over 13 islands to explore – yes 13! The Toronto Islands have a lot to offer – beautiful beaches (including clothing optional Hanlon’s Point), beautiful marshland and great views of both the city and Lake Ontario. Need to rent a SUP? You can rent one at the Canoe and Kayak Centre at the Toronto Harbourfront. If you don’t feel like making the trek across the open water to the Toronto Islands, the friendly folks at the Canoe and Kayak Centre will take you and your SUP over by boat and will even pick you up when you’re done. 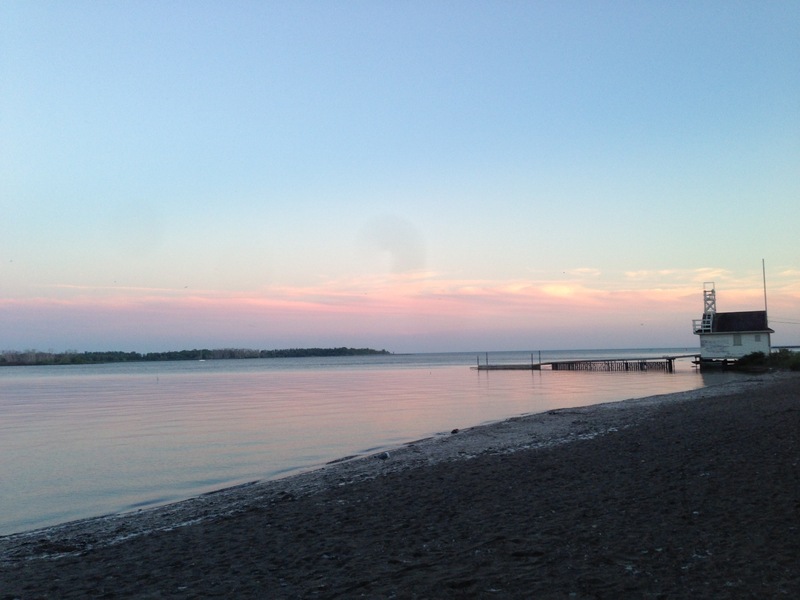 If you are looking for some cool places to check out when you’re at the Toronto Islands, check out Inayat’s Toronto Islands post on her blog, Sestieri. Ontario Place was the former home to a water park and the world’s first Imax theater in downtown Toronto. 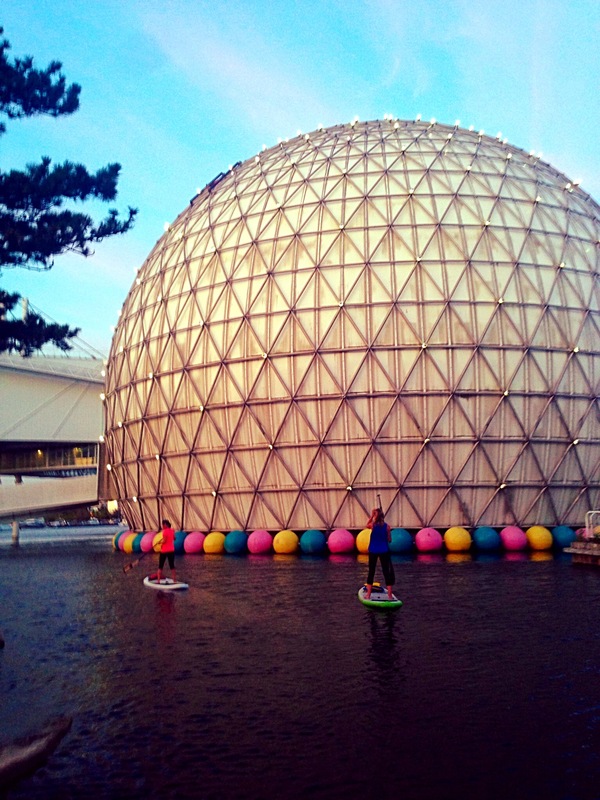 In 2012, Ontario Place closed its doors, but it is still a great place to stand up paddle. I must admit, it is a little creepy with overgrown buildings and sad, abandoned bumper boats laying haphazardly in the water but it offers a great, calm place to paddle in the heart of the city. To get there, I usually park near the Royal Canadian Legion on Lakeshore Blvd (turn onto Net Drive) and park in the public parking (pay parking in the summer). I take a small path located next to the dumpsters (nice, I know) down to the water. There is a breakwall in the water making the water at this location is always very calm. If you head east from here, you’re only a short paddle away from Ontario Place. 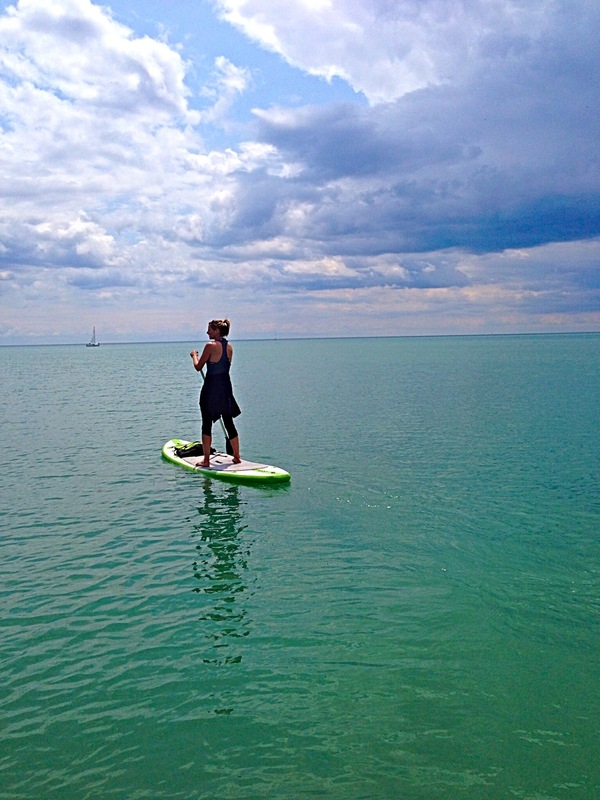 Cherry Beach is another great place to SUP in Toronto. It’s a Blue Flag beach which means it meets specific criteria for water quality. Compared to other beaches, Cherry Beach is a bit more natural and a little-less manicured than other beaches and parks. It is located in a quasi-industrial area of Toronto and has a very unique feel to it. It also attracts an array of different people from sailors and stand up paddle boarders to dog people and party people. Cherry Beach can be quite windy at times so if you’re new to stand up paddle boarding, you should check the wind speeds before you head out. The Beaches is a great spot in Toronto`s east end. As a former summer cottage area for Torontonians dating back to the 1870s, it’s a city escape within the city. The beach is sandy and beautiful with a busy Boardwalk. It’s a popular place for stand up paddle boarders and is a great people-watching place. 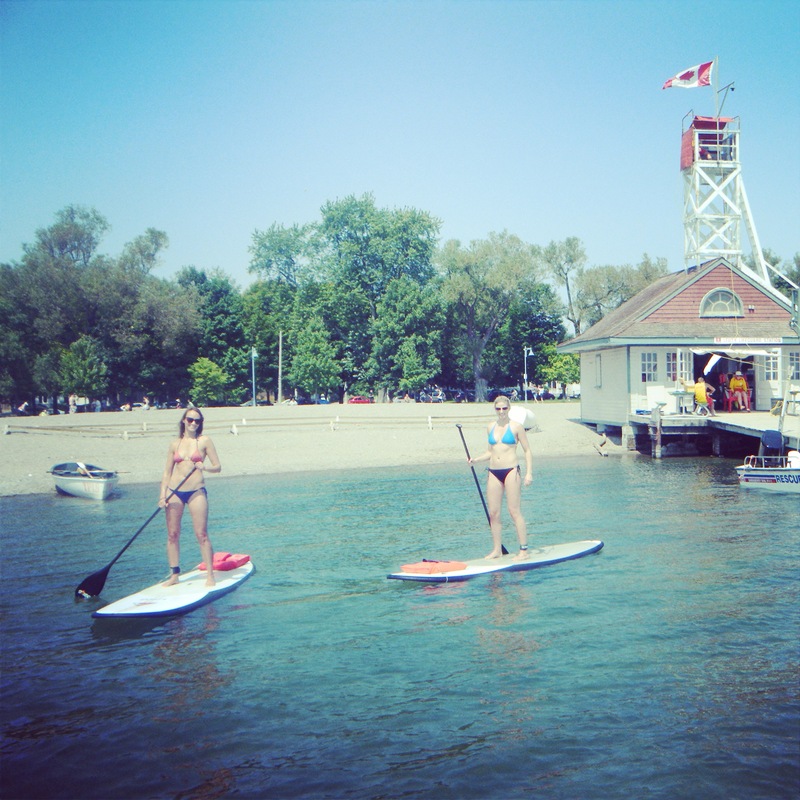 If you want to rent a SUP, be sure to check out WSUP Toronto located at the Beaches. They have a tent located right on the beach at Kenilworth Ave and Kew Beach Ave where you can rent a SUP or sign up for a lesson. Bluffer’s Park, located in Toronto’s furthest east end, is another Blue Flag beach and could be considered Toronto’s best beach. The Bluffs themselves are stunning – and even more stunning from the water. The white bluffs against the blue waters of Lake Ontario make it appear almost tropical. You may not know, but the Bluffs are home to Ontario’s only year-round float home community. Check it out! If you’re planning to visit the Bluffs on a summer weekend, be sure to get there early because parking is very limited. Now get out there and explore this city and beautiful Lake Ontario! 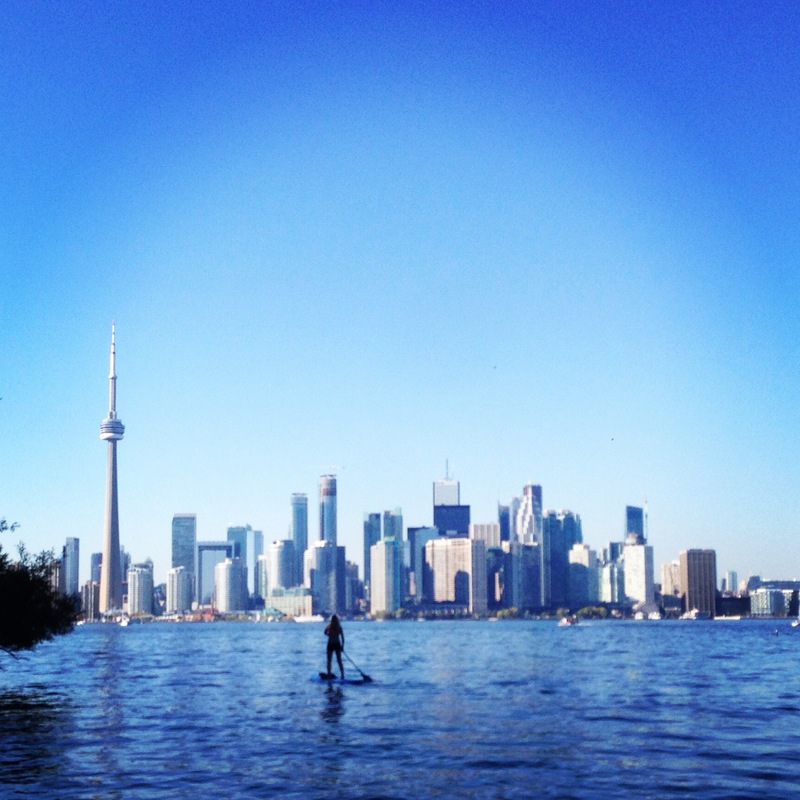 Posted on October 19, 2015 November 2, 2015 by paddlewagonPosted in where to supTagged toronto, where to sup.